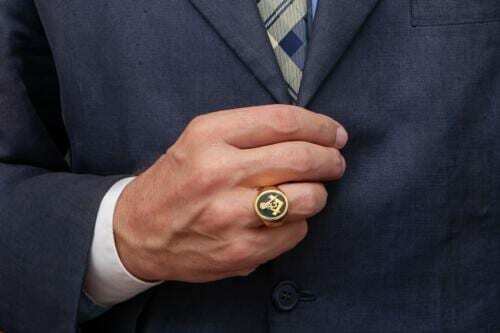 MASSIVE $50 PRICE REDUCTION FOR THIS MONTH. 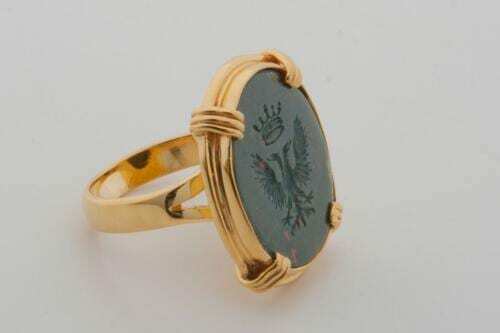 GOLD PLATED (5 MICRONS 18K GOLD) SILVER ENGRAVED INTAGLIO FOR SEALING. 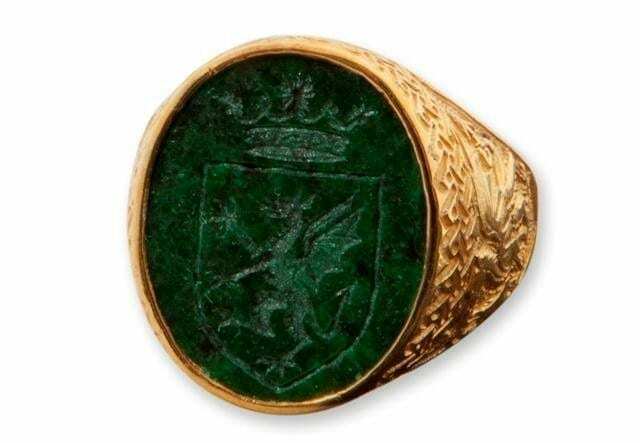 THIS IS AN ICONIC CELTIC STYLE SETTING.MEDIUM SIZED STONE. 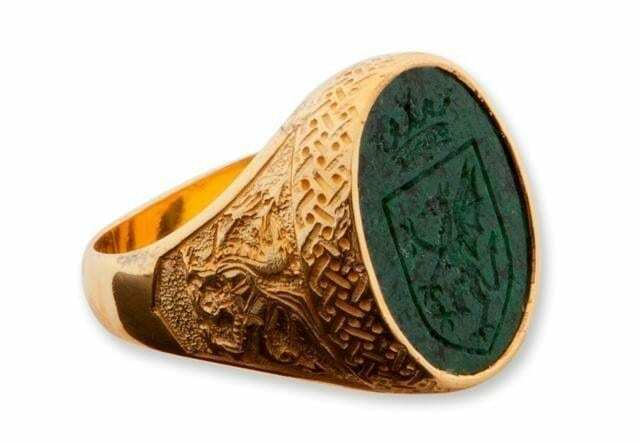 This Regnas signet ring carries an engraving of the Welsh dragon on both shoulders and amazing Celtic scroll work around the crown. 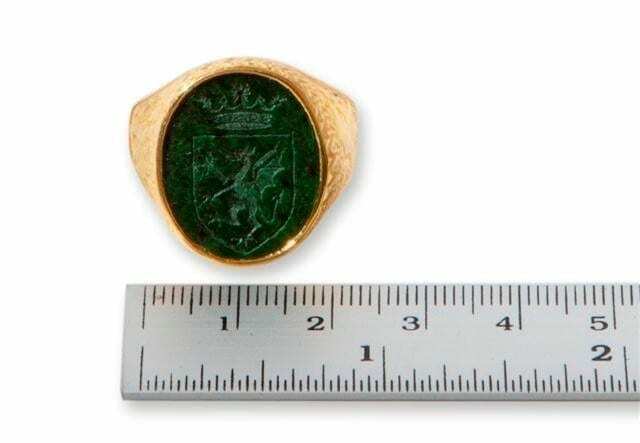 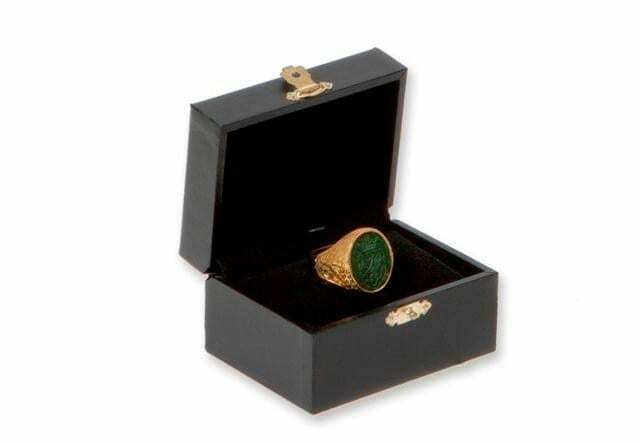 The jade albite oval is 22 x 18 mm (7/8 x 11/16 inch) one of our medium heraldic sized rings.